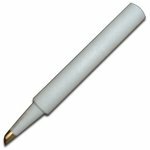 Replacement soldering iron tip for precision component soldering. 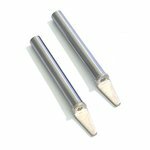 Compatible with Goot XST-80G Soldering Tweezers. 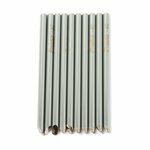 A set of soldering iron tips (36 pcs.). 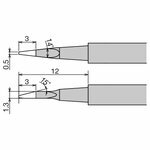 It is compatible with ATTEN AT100D, AT201D, AT204D, AT60D, AT80D, AT937B, AT938D, AOYUE 701, 701A+, 936, 937, 937+, Lukey 936+, AOYUE 950+, AOYUE 738, 768, 899A+, 906, 906C, 908+, 909, 968, Lukey 702, 850D, 852D+, 852D+FAN, 852D-300-301, 853D+, 868, 898, HAKKO. 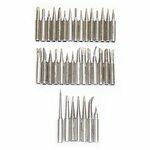 A set of replacement soldering iron tips with one-side cut (10 pcs.) for Pro'sKit soldering irons. Tips are compatible with Pro'sKit 8PK-S120NAD-40, 8PK-S120NB-30, 8PK-S120NB-40. 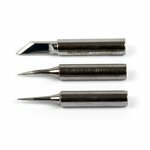 A set of 3 replacement soldering iron tips BAKU 900M-T-I, 900M-T-S, 900M-T-K for a wide range of ATTEN, AOYUE, Lukey, HAKKO soldering equipment. 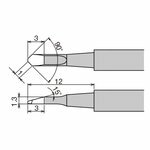 Replacement tweezer tip. It is compatible with AOYUE 950, 950+. 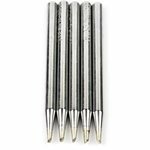 A set of replacement bevel type soldering iron tips (5 pcs.) 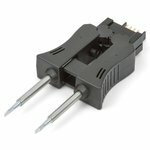 for Pro'sKit 608-351N / 608-352NB soldering stations. 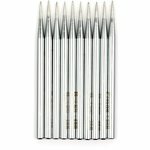 Replacement soldering iron tip set (5 pcs.) 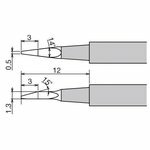 for precision component soldering, compatible with Pro'sKit 8PK-S120NAD-60, 8PK-S120NB-60, SI-124B-60. 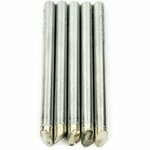 Replacement soldering tip set (5 pcs.) 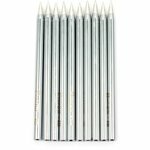 for precision component soldering, compatible with Pro'sKit 8PK-S120NAD-60W, 8PK-S120NB-60, SI-124B-60. 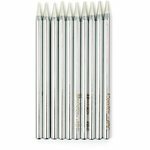 Replacement soldering tip set (5 pcs.) 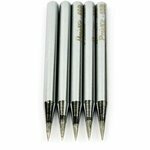 for precision component soldering, compatible with Pro'sKit 8PK-S120NAD-60, 8PK-S120NB-60, SI-124B-60. 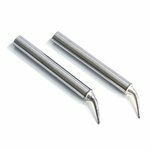 Conical soldering iron tip set (10 pcs.) for Pro'sKit soldering irons. Tips are compatible with Pro'sKit 8PK-S120NAD-40, 8PK-S120NB-30, 8PK-S120NB-40. 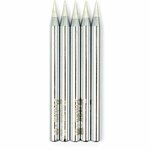 Replacement conical soldering iron tip set (5 pcs.) 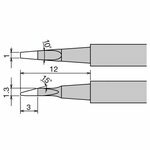 for precision component soldering. Tips are compatible with Pro'sKit 8PK-S120NAD-60, 8PK-S120NB-60, SI-124B-60.